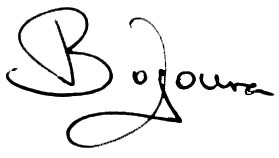 Welcome at the official Bojoura website, singer in Europe during the ’60’s, ’70’s en ’80’s. This website is mainly in Dutch language. Bojoura, in full Raina Gerardina Bojoura Cleuver van Melzen, was born at The Hague, Holland, on April 15, 1947. She is the daughter of Dany Zonewa, a well-known opera-singer and music-teacher of Bulgarian origin. Bojoura (the Bulgarian name for peony) was discovered by George Kooymans of Golden Earring in 1967. One of his songs (‘Everybody’s Day’) landed her on the local hit parade and made her an instant success: she has won the popularity polls ever since. During the 1967-68 season she became the hostess of the AVRO-TV programme “Vjoew” in which she interviewed The Supremes as well as Truman Capote. In the summer of 1968 an invitation followed to represent the Netherlands at the “Festival Orphée d’Or” in Burgas, Bulgaria. In 1969, her version of “Frank Mills” from the musical Hair hit the top of the local bestsellers lists. As a result of this success she has been making personal appearances with the Thijs van Leer trio and scored a hit with ‘The Letter’. After her musical career, Bojoura married with Hans Cleuver (May 8 1947 – March 4 2018 †), drummer of Focus who later became their manager. They got two daughters Laurie and Emilie and a son Jurriaan. Daughter Emily is active at the drumming-school (like her father did) at Scheveningen (The Hague). Bojoura studied several languages at master-level and ‘till today she is a teacher in foreign languages like English and Russian.